The recent victory of Thierry Baudet and his right-wing populist party in Dutch provincial elections took many in the Netherlands by surprise. But the nature of the Dutch electoral system and voter antipathy towards incumbents may have more to do with the fragmented result than a rightward shift in the Dutch political landscape. On 20 March, a populist radical right-wing party took out the most seats in Dutch provincial elections. Thierry Baudet and his Forum for Democracy party (FvD) won the most votes (approximately 15 percent) and became the largest party in three of the Dutch provinces, including North and South Holland. In the election, which uses an extreme form of proportional representation, Dutch voters directly determined the composition of the twelve provincial parliaments. The elected members for the provincial states will now vote for the members of the 75-seat senate. This system means victory in the provincial elections determines victory in the country’s upper house. It is predicted the FvD is likely to hold 13 seats in the upper house and be the largest of 12 parties in senate. Such a result for a newcomer would be a first for the Dutch electoral system, which dates back to 1917. But although the Dutch are well advised to heed the warning signs of a population that is keen to see change, we are not yet facing the decline of mainstream politics in the Netherlands, or in Europe more generally. In the run-up to the elections, Baudet, together with his political sidekick Theo Hiddema, attracted crowds in theaters by holding glamorous show-style political meetings. Baudet is a young, dynamic, self-confident (some say arrogant), self-styled intellectual, who prides himself on his nostalgia for the past. 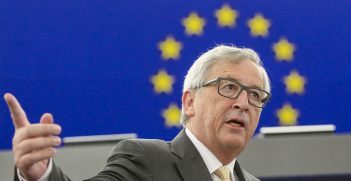 He has positioned himself as against the vested political parties, which he refers to as the “party cartel.” Although the Dutch have already had some experience with populist and anti-establishment parties, the latest electoral gains of FvD were large and surprising. 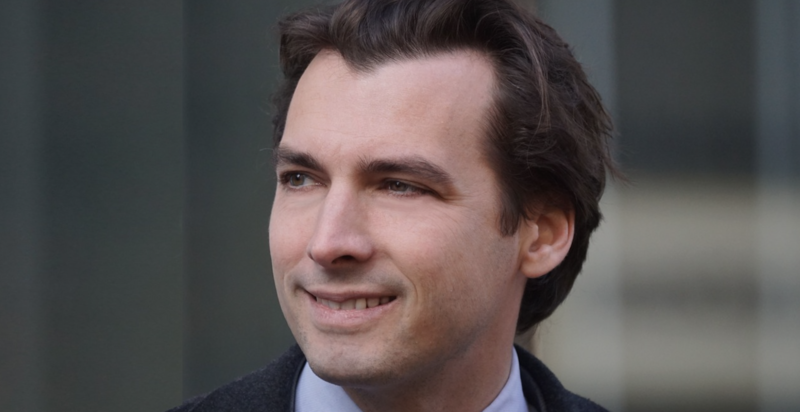 Baudet started his political career as one of the initiators of the 2016 advisory referendum on the Ukraine-European Union Association Agreement. The result is well-known. Although turnout was low (32 percent), a majority of more than 60 percent of Dutch voters came out rejecting the agreement. The Dutch government eventually disregarded the outcome and ratified the agreement anyway. Originally founded as a think-tank in 2015, FvD was converted into a political party in 2016. It secured two (of the 150) seats in the Dutch lower house of parliament in the March 2017 national elections. Since then Baudet has used his speaking time in parliament to make bold statements that he subsequently disseminated through his social media outlets, which drew in an increasingly larger number of visitors. In opinion polls, FvD increased its support substantially. Context matters, of course. A week before the latest elections, the governing coalition made some decisions on climate change. The measures reflected broad, multiparty consensus advancing sustainability and countering climate change. Having already been rallying on a climate-change denial platform, Baudet vocally jumped into the open space on the political right and firmly spoke out against the measures. The FvD also aligned itself with radical right-wing views regarding immigration and the integration of ethnic minorities. The elections took place against the backdrop of the Utrecht shootings. On 18 March a gunman opened fire on a tram in Utrecht, killing four people and wounding several others. The suspect, who has since been detained and confessed to the crime, was a local man of Turkish descent. Although not much was known about the reasons for his behaviour, the police almost immediately suggested there could be terrorist motives. As such, precautionary measures were taken that put most of Utrecht into a state of lockdown. But it really did not matter whether the attackers’ motives were terrorist-related or not, the situation was framed by the local authorities as “an assault” and this was later reiterated by the prime minister and the king. Such framing had many people worried the terrible events that had devastated Christchurch in New Zealand three days earlier were now taking place in the Netherlands. After the Utrecht incident, all established parties stopped their political campaigns. But not FvD, they even went so far as to suggest previous government policies had been responsible for the attack. Baudet used the final televised election debate to criticise Dutch immigration policy, emphasising the migrant background of the perpetrator and his criminal record. In short, he criticised the establishment for having been too soft on these kinds of individuals. Understanding the gains made by Baudet and the FvD? Columnists and commentators have reflected on the election results. In the post-election commentary, most of them emphasised the fact that Baudet was a “new kid on the block.” They speculated voters are unhappy with the establishment and the government coalition and are looking for a new person to represent them. Such electoral behaviour fits a general pattern that coalition parties increasingly experience because of their participation in government. Baudet was seen as “energetic” and a “breath of fresh air.” Commentators also stressed that some voters – who had previously voted for the radical-right Freedom Party (PVV) of Geert Wilders, another anti-establishment voice to the far-right of the mainstream parties – had become disillusioned with Wilders, who according to them, has been unable to deliver. Before Wilders, the popular political outsider Pim Fortuyn never got a chance to prove himself on the national political stage, as he was killed by a left-wing activist a week before the general elections of May 2002. After Fortuyn and Wilders, Baudet is now the third major challenger of the established political parties and mainstream politics. Other columnists remarked that many voters were dissatisfied with the current government coalition, led by long-standing Prime Minister Mark Rutte, leader of the mainstream liberal-conservative party, VVD. Finally, there are those in Dutch society who feel the issues they are most concerned about are not dealt with adequately by the ruling elite. Should the Dutch be concerned about the FvD taking over politics? The jury is still out on the matter. The FvD won only 15 percent of the total vote, so “taking over” may not be the correct characterisation. Baudet and the FvD didn’t have much of an actual party program at the provincial level. Many candidates they put forward on their party lists were unknown individuals, who may or may not be up to the job. Much of their continued popularity will depend on whether those voted into office can deliver. Most likely, since the provincial elections are generally considered second-order elections, their electoral fate will depend on how Baudet and Hiddema are doing at the national level. The impact of this provincial election on existing parties is unclear. The nature of the Dutch coalition political system is such that the mere sight of a change in the electoral landscape often leads mainstream parties to shift their positions, so as to move a little bit closer to where they see electoral space. Yet just by being the largest party – that is, by winning 15-20 percent of the vote – potentially enables a party to but part of a government right away. But in order to rule, Dutch parties need to form majority coalitions and this involves compromising. Although formally allowed, there is no tradition of forming minority coalitions in the Netherlands. At the time of writing, it is not yet clear whether the FvD will be part of a governing coalition in any of the provinces. Is this a precursor for the rest of Europe? 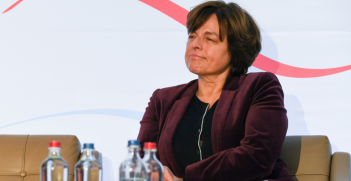 It is difficult to say whether the Dutch provincial election results will be repeated in the upcoming European parliamentary elections next month. The Dutch electoral system has many unique characteristics and Dutch politics is so different to those of surrounding countries. 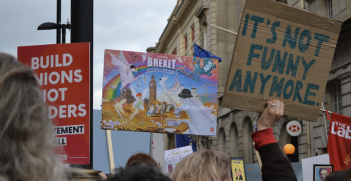 For these reasons alone, it is unwise to generalise about what the rise of the FvD means for the overall state of European electoral and party politics. Professor Amy Verdun teaches European politics and political economy at the Institute of Political Science at Leiden University and is on leave from the Department of Political Science at the University of Victoria, in British Columbia, Canada, where she has been since 1997. Her research deals with European integration, governance and policy-making, political economy, as well as comparisons between the European Union and Canada. In the latest chapter of the never-ending Brexit saga, Theresa May sat down for tea with Jeremy Corbyn to try to reach a compromise.